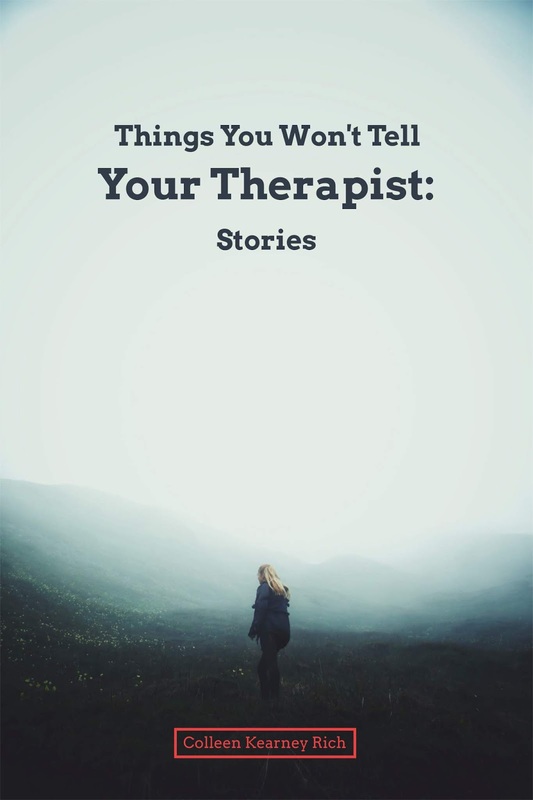 THINGS YOU WON’T TELL YOUR THERAPIST is a collection of flash fiction about people with secrets. Everyone in the book has something to hide and the reader gets a glimpse into their private moments. Which story did you most enjoy writing? Why? And, which story gave you the most trouble, and why? The story that was the most fun to write was “Petty Cash.” I wrote the first draft in a Kathy Fish online Fast Flash workshop. What I love about those workshops is that you are writing fast and don’t have time to do a lot of second-guessing about the story’s viability. It came out pretty much intact, and I love that. I wish they all just flowed like that and that I knew immediately where the story was going. The title story gave me the most trouble. I have always wanted to write a list story, but I just couldn’t make it work in that form. I’m very happy with the resulting story, but I still haven’t written a successful list story. Maybe this year. The highs are probably also the lows. I submitted the chapbook to a lot of contests and had to recompile the manuscript each time to meet the contest’s submission rules (page counts, table of contents, etc.). It was finalist in in the Black River Chapbook Competition at Black Lawrence Press and on the short list for the Santa Fe Writers Project awards. I didn’t win. These are two of my favorite publishers, and I would love to work with them one day. It was really rewarding to know some people out there liked the book enough to make it a finalist. While I was at the Hambidge Center in Georgia for a writing residency, I decided to submit it during Finishing Line Press’s open reading period. They were interested in it. They are primarily a poetry publisher, but the format works with flash. Several of my stories are a single paragraph. Strunk and White’s The Elements of Style still has some of the best writing advice there is. One I live by is: Omit needless words. Writing “tight” in both fiction and nonfiction is critical. Omitting needless words and tightening up other’s writing is a big part of my day job as a magazine editor. I know it is heart breaking to have to “kill your darlings”(another great piece of writing advice from William Faulkner), but it is necessary if you are writing for an audience. Readers don’t have a lot of patience so I feel it is important to not waste their time. One of the things I love about writing flash is the paring down of the text so that every word matters. I am a fiction editor at Literary Mama, and I think overwriting is what causes a lot of stories to fail. Sometimes I can see the bones of the story that the writer is trying to tell, but they are writing all over the place. I was surprised at how many dogs show up in the book, and I am still really puzzled by it. I don’t have a dog. I am more of a cat person. In fact, my elderly cat is sitting here with me as I type this. Good thing she can’t read. I need to write more cat stories. For me, getting distance from the work is a big part of revision. I do like putting things away for a little while. When writing, I am so immersed in the scene that I really can’t see typos or missing words. When I take a break from it, it breaks that spell and I can see everything so much clearer. I also have a writing group that I rely on. It is really valuable to have those early readers to flag things that they are confused by and get a general reaction to a piece. Belgian waffles! In one of the stories that takes place at a diner. But, like the woman in the story, I don’t make them at home. I have recently shopped for a waffle iron but haven’t taken the plunge yet. Do you have a waffle recipe? I would like to find a good one.